AICA - American Independent Cockpit Alliance, Inc. Exclusive Website for the Pilots of American Airlines! "Donate to the AICA Sup CC Legal Defense Fund"
Mission Statement for American Independent Cockpit Alliance. It is the mission of the American Independent Cockpit Alliance (AICA) to protect the interests of its membership in dealings with American Airlines and the Allied Pilots Association. 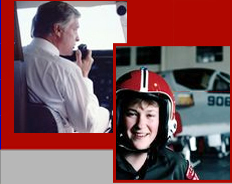 Since the merger with American Airlines in 2001, AICA membership has been primarily made up of former TWA pilots. Currently, of the over 400 members of the AICA, 98% are former TWA pilots. 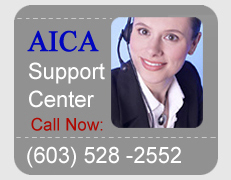 AICA is committing all of its resources to recovering date of hire seniority for our pilots. Members of AICA have been instrumental in the last decade in proving in court that the Airline Pilots Association (ALPA) violated their duty of fair representation owed to the TWA pilot group during the American Airlines merger. We hold that the draconian seniority positions dictated to us by American Airlines and the Allied Pilots Association (APA) are a direct result of ALPA�s breach. Further legal action is in progress to protect our membership from the effects of the American Airlines bankruptcy and USAir merger. We also hold that a rigged arbitration and the subsequent Seniority List Integration of the carriers resulted in undue hardship for the TWA pilots due to a blatant attempt by both American Airlines and the Allied Pilots Association to destroy the rest of their careers. Copyright © 2019 AICA - American Independent Cockpit Alliance. Site By Nextshore LLC.